Australia Based Fashion Brand, Forever New loops in Unicommerce to strengthen its E-Commerce operations! 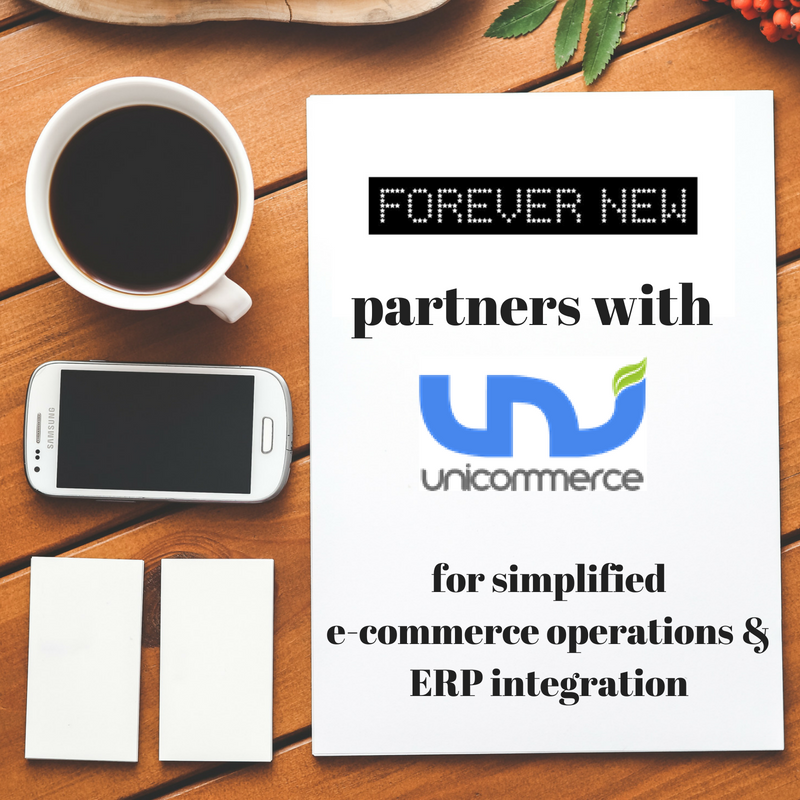 Forever New, one of the fastest growing Australian fashion brands has partnered with Unicommerce to simplify its e-commerce business operations in India. Through this partnership, the company aims to streamline operations across the existing ERP system and multiple sales channels. It has over 250 stores across seven countries and is selling on major e-commerce platforms, besides their own website in India. “Unicommerce has helped us penetrate deeper into the Indian market by easing integration with new e-commerce marketplaces. We are very excited to partner with them.” says Siddharth Puri, Head of Technology & E-commerce, Forever New. “The ease of launching new marketplaces in Unicommerce has helped the fashion house to sell across multiple marketplaces and their own Magento-based website from one platform.” says, Kapil Makhija, CEO, Unicommerce. “Unicommerce has provided a smooth transition of data and operations from Forever New’s existing ERP system- significantly reducing manual work and allowing the brand to focus solely on growing their business.” he adds. Unicommerce is the leading global E-commerce Supply Chain Solution which enables Manufacturers, Wholesalers, Distributors, Retail Chains, Individual Store owners and E-commerce sellers to automate their supply chain operations for online and offline business to sell more. Unicommerce, a leading global e-commerce technology solution provider that provides Omnichannel, vendor management, centralized multichannel order and inventory management, ERP integration and warehouse management for both online and offline merchants. The greatest strength of the platform lies in its 100+ seamless integrations across marketplaces, shopping carts, logistics providers as well as ERP solutions and thus acts as a perfect middleware solution for over 10,000 registered brands. Unicommerce platform is used to manage more than 120 Million transactions in a year amounting to US$ 1.5 Billion GMV every year, and is built to handle any scale of operations. The solution has demonstrated more than 30% improvement in sales while ensuring reduction of manpower by up to 20% by completely automating the entire backend. Forever New is a fashion clothing and accessories brand founded in Melbourne, Australia. One of the fastest growing Australian brands, Forever New emerged in late 2006 as a startup retailer and now trades over 250 stores across seven countries. Their collections are inspired by global trends in art, film, music and theatre, haute couture runway shows in Paris, London, Milan and New York. Do you own a brand? Don’t wait, reach our experts today to know more about Unicommerce and how our solutions can help you grow exponentially. Register here for a free demo!